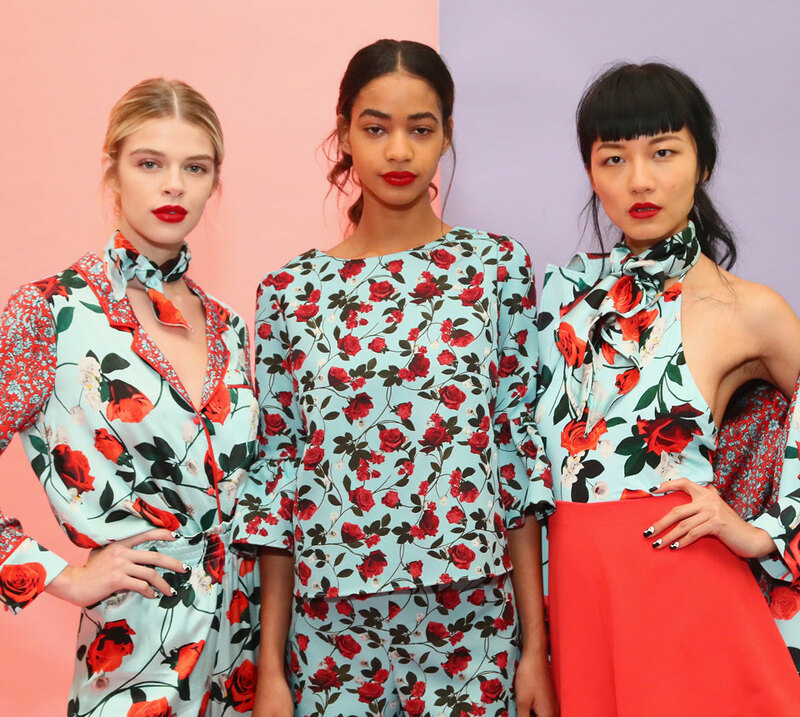 It’s inevitable…we’re enchanted by Alice + Olivia’s Fall Collection and bet you will be, too. Inspired by the concept of revolution and fusing edgy with glam, Stacy Bendet’s bold and rebellious designs feature feminine, brightly colored floral appliques laced with traces of gold. But, that’s not all. Alice + Olivia’s fall looks include rock ‘n’ roll statement jackets adorned with animal print, sparkly gold skirts, geometric ensembles, layered and ruffled pieces, as well as black and red floral dresses with Victorian-inspired necklines. Each piece emulates the opulent style we’ve come to know and expect from this iconic brand. Alice + Olivia is available at Nordstrom and Bloomingdale’s.